As for the Blu-ray, wow, what a beautiful transfer (aside from the windowboxed main titles which is wholly unnecessary at this point with flat screens). 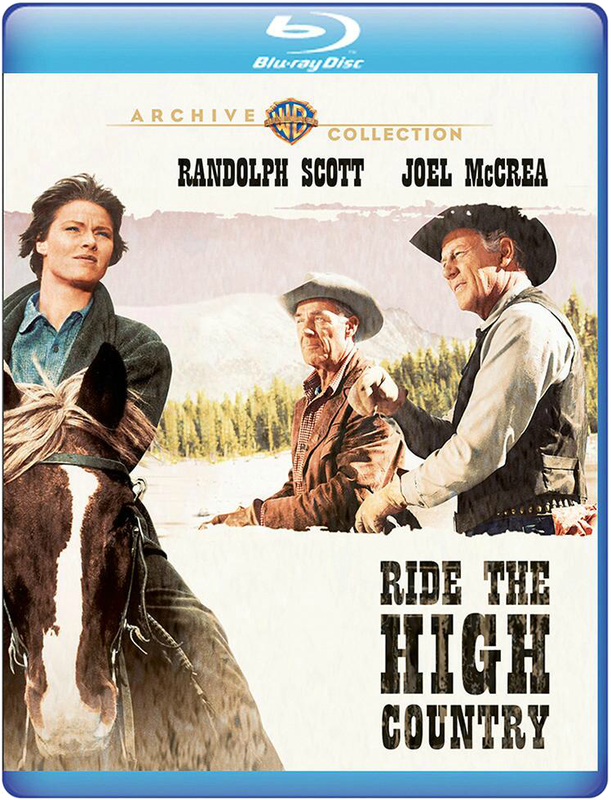 I don't have a reference other than seeing 35mm repertory prints back in the 80s, and the old DVD, but this Blu-ray looks fantastic color-wise and every other-wise. Detail and stability are perfect. Warner says that this is a brand-new film scan and mastering and nothing on-screen betrays that. Audio is DTS-HD MA 2.0 mono and is likewise solid. The disc has an audio commentary by the 'Peckinpah mafia': Paul Seydor, Nick Redman, Garnet Simmons, and David Weddle which I sampled for a few minutes - it's full of details about Peckinpah and the production of the film so I look forward to listening to it in its entirety some day...maybe after I retire. 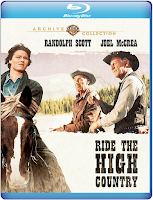 There's also a 23 minute featurette entitled "A Justified Life: Sam Peckinpah and the High Country" which was produced for the 2006 DVD release and tells about Sam's early life via clips, photos, etc., interviews with his sister, and more. Pretty essential viewing for a Pekinpah fan as it gives a good insight into his personal history that fuels the themes of many of his films. Don't hesitate...this is one of the great ones. Get it right now.